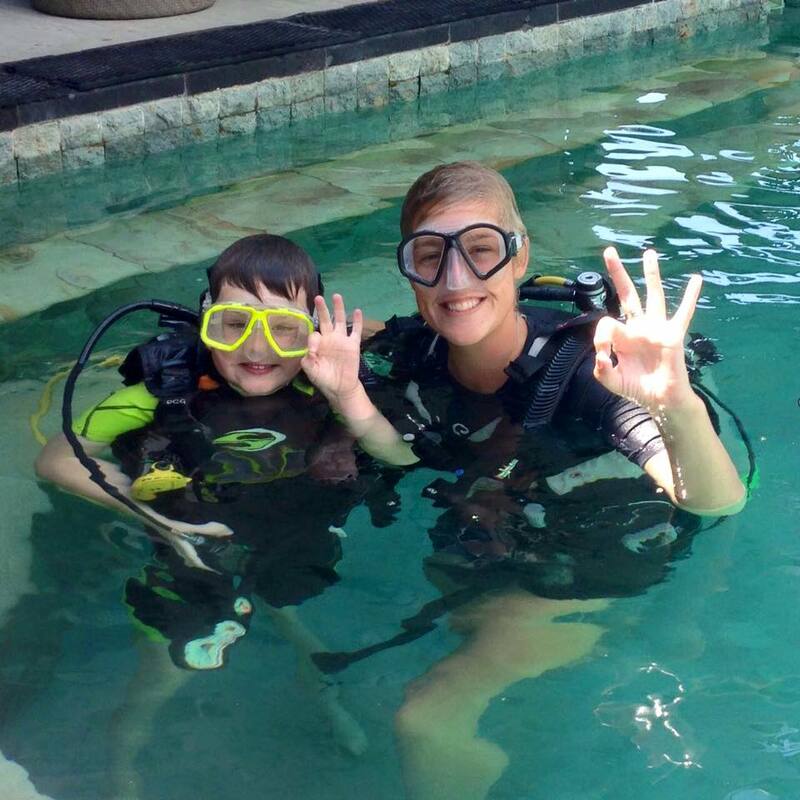 “I want to do my PADI” We hear this all the time. If you’re thinking this, then the courses below are for you. The Open Water Course will give you a full international certification that means you can dive anywhere in the world. Not enough time for the full course? No problem- The Discover Scuba Diving program or the Scuba Diver Course give you and your holiday flexible options. Now all you have to think about is how many countries will you dive in, how many new fish will you see, and what about that crazy coloured slug-like thing that surely nobody else has ever seen before?! You can book your PADI course via the internet, either by the Book Now button at each course description or by sending us an email and paying a deposit. If you book in advance we will give you a free fun dive upon arrival (valued at $35 USD). The Open Water Course will give you a full international certification that allows you to dive around the world. You will work closely with an Instructor who will show you how to breathe with confidence under water. You will build up your skill set slowly and progressively through a mix of theory sessions, time in the confined water setting of our swimming pool and under close supervision on the beautiful reefs around the Gili islands. During the course you will make 4 dives on different dive sites around the islands and experience what it is like to move freely in a 3D environment. Upon successful completion of the course, you will be certified to dive to 18m with a buddy (another certified diver). Although you will be certified to dive without an instructor, it is always advised to dive with a guide who can show you the best parts of a dive site and explain the local conditions such as currents, tides and marine life. Eager to get started now? Sign up for your PADI ELearning and start your theory today! Save time on the theory part of your course, and maximize your holiday time! Not enough time for a full Open Water Course? The Scuba Diver Course offers a limited certification for those who do not have enough time on the Gili Islands to complete the full Open Water Course but who would like more knowledge and time under water than an introductory session offers. You will complete 3 out of the 5 theory and confined water sessions required for the full course and make 2 open water dives to an introductory depth of 12 meters. After the course you will be certified to dive with an instructor to a limited depth without having to show basic competence prior to a dive with a new dive centre. This is an introductory dive for those short on time. The session starts with an informative safety briefing before you dive into our swimming pool to practice a few key skills. Once you have built confidence and demonstrated basic ability one of our experienced instructors will guide you on a memorable experience around one of our picturesque dive sites where it’s likely that you will see at least one sea turtle. During this experience you will go to a maximum depth of 12 metres. After this experience you will be able to make subsequent dives with one of our instructors to give you the opportunity to see multiple dive sites and the chance to see more of our fine-looking corals and marine life. This course is designed for the youngest divers and is a fun way to teach your little ones the joys of the underwater environment and a feeling of freedom of movement in a 3D environment. This is a pool only experience, with a maximum depth of 2 metres and can be taken from the age of 8. The aim of the course is to introduce children to the basic skills required to dive safely. If sea conditions allow a shore dive may also be possible. This is not a certification course and will not allow children to dive without the supervision of an instructor. Children can take the Junior Open Water Course from the age of 10.